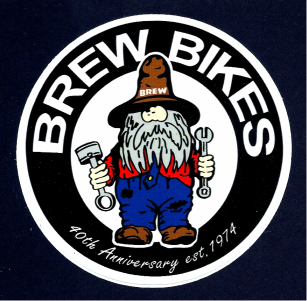 YES, BREW still builds custom frames including road, mtb, track, SS, 29er, 650B, touring and bmx. Prices start at $1300, (bmx $780). Everyone asks what can I build. I build full customs, anything! This is my 44th year of frame building. NEW Frame Decals are now IN STOCK! Will fit all size BREW Frames. NOW at a MUCH LOWER PRICE than in the past! $10 includes shipping in lower 48. Available on the Brew Store.